A well thought-out budget is a clear plan for making a film. And a good budget reveals a lot about how a film is going to be made, what kind of story you'll be telling, what kind of crew you plan to use and what sort of equipment you've selected. But how do you prepare a budget that fits your documentary? This article provides a nuts-and-bolts primer on documentary budgeting. It is often said that there is a triangle of quality in production: the story itself, the production schedule and the production budget. Changes to one of the three "corners" of this triangle affect the other two. Thus, before you can think about your budget, you must think about your story. What is the story you're trying to tell? Who are the characters? What elements will it requireInterviews? Archival research? Vrit? Narration? Re-enactments? Then you must sketch out a schedule. How long will you research? When will shooting begin and how long will it take? What about editing and post-production? Are there any special constraints on the schedule, such as a tight shooting window or an immovable delivery deadline? Once you've drafted a schedule, try to list the key assumptions that you'll need to prepare the budget. How long will the film be? What tape or film format will you use? How many people will be on your crew? How many "hats" will you wear yourself? What will your shooting ratio be? How much travel will be required? What deliverables will be needed? With a description of the story, a draft schedule and a list of assumptions in hand, you're almost ready to start budgeting. "But how can I make a budget if I don't know how much money I'll be able to raise?" While some filmmakers are lucky and persistent enough to raise the necessary funds before they begin, a vast number begin shooting and even editing while still fundraising. In these cases, you'll probably need two budgets. 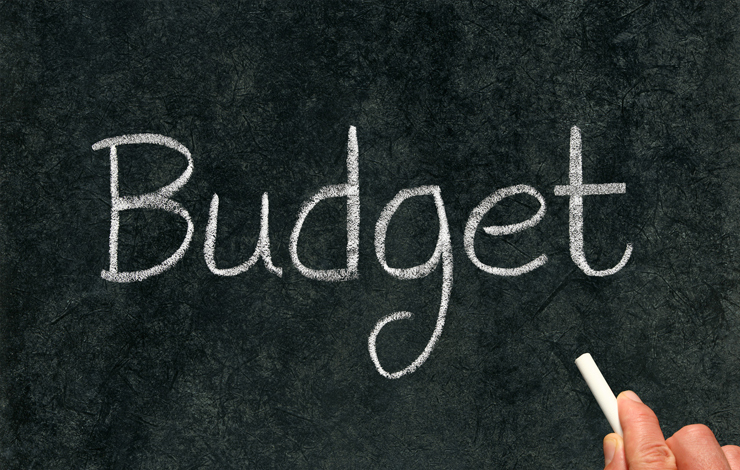 The first budget should include "professional" rates and will be the budget that you'll submit to potential funders. The second should be the "bare bones" budget that you'll keep hidden in your desk drawer. This will be the absolute minimum amount of money needed to complete the project in a way that is acceptable to you. This article will focus on creating the "professional" budget. Once created, you can make a "bare bones" budget by reducing and deleting appropriate items. If you're savvy with spreadsheet programs like Microsoft Excel, you can create a budget fairly quickly without any specialized software. But several software packages are available that are designed specifically for film budgeting, including EP Budgeting (formerly Movie Magic), Production Pro Budgeting, Axium Budgeting and Showbiz Budgeting. Avoid using Microsoft Word for budgets. Long tables can quickly become unmanageable, and it's much harder to work with formulas in Word. The topsheet is a one-page summary of the budget. As you can see in the sample below, expenses are generally divided into two sections. "Above-the-line" costs include the so-called key creative costs such as the producer, director, writer and actors (if any), and may also include the costs of rights required to make the project. "Below-the-line" costs normally include the hard production costs such as crew, equipment and services. Budgets can be organized in a number of ways, of course. For example, some place post-production in a separate section and some have an additional section for general overhead. Creating a detailed budget requires a lot of research. Every budget is different and you'll need to call potential crew members, vendors, post facilities, hotels and airlines for guidance and bids, and to start negotiating rates. The budget shown here is merely a sample. Please don't rely on the rates shown here; you'll need to research rates for each individual project. Above the actual budget, it is common practice to list some basic assumptions about the project. The sample budget shows that the project will be shot on DV, the plan calls for two months of research, 35 shooting days will be spread across 12 weeks, etc. The sample budget includes a number of line items where no money is being spent. Normally, these "empty" or "zero amount accounts" would not be shown. But they are included here to make the sample budget more useful as a template, so that you don't forget anything when you begin making your own budget. 1000 Research--This section includes money for the books, videos, meetings and other expenses required to research the project. 2000 Directors, Producers, Writers--These fees vary widely but should be reasonable for each person's experience level, production locale and overall budget level. Since many projects arise from a director's passion, some directors accept a lower fee in order to get more "money on the screen." In this sample budget, a single filmmaker is serving as director/producer and plans to spend about a year on this project. On union projects, be sure you understand the terms of any applicable guild agreements. 3000 Story & Other Rights--If your project is based on a book, an article, a song or other copyrighted material, you may have to pay for the rights to make a documentary based on that material. Consult an attorney. 3100 Archival Photographs & Stills--Research the sources for any still photographs that you plan to use. Will you need to hire a researcher? How much will it cost to get preview copies of photos and license the images that you select? 3200 Stock Footage & Film Clips--As in section 3100, you must think through the costs of both researching and licensing material. The devil is in the details, and you'll need to carefully understand the pricing for each clip. For example, some archives charge a 30-second minimum, no matter the length of the clip that you use, and you must budget accordingly. 3300 Talent--If you are planning to do re-enactments with actors or hire a narrator, you'll need to list them here. Depending on how well-known an actor is, rates can vary considerably. If you are working with union performers, be sure to follow the agreement that governs your project. And be especially cautious if you're preparing a project that includes shooting in a theater, concert hall or sports arena that falls under union jurisdiction. Thoroughly understand all such constraints before you begin to budget. 3400 Music--Music rights can become both complicated and expensive. To control these costs in the sample budget, it is assumed that all of the music will be written specifically for the project by a composer. Many projects, however, must budget for licensing additional music rights and may hire a music supervisor to manage all issues relating to music. 4000 Production Staff--The composition of the crew and their rates can vary considerably. In the sample budget, the director/producer has decided to hire a production coordinator but do the rest of the producing herself. In this case, the shooting crew consists of a director of photography, sound recordist and production assistant. Keep in mind that while crew rates are certainly negotiable, it's important to maintain parity among different crew members. 4100 Editorial Staff--Given the great importance of editing to documentary-making, the money allocated for an experienced editor who is passionate about your story is perhapsmay just be the single most important line item in the budget. The editorial team usually includes an editor and an assistant. On low-budget projects, the director or an intern may perform some assistant functions, such as logging and capturing footage. This can be a good cost-saving measure, but be careful not to slow the editing process and be sure that you have access to a good tech support person in case problems arise. In both of the staff sections above, the last line item is called "Personnel Taxes," also known as "Fringes." These are the costs that an employer must pay in addition to an employee's salary and include Social Security, Medicare, federal and state unemployment insurance, workers' compensation and payroll service fees, if any. A payroll service can provide you with current rates and applicable cutoffs for the states where you'll be shooting, and can also process these payments. In the sample budget, these fees add up to about 21 percent. On union projects, there may be additional fringes. Check the terms of any applicable Guild agreements. Beware: Some producers try to avoid paying fringes by classifying crew members as independent contractors. The IRS, however, has very specific rules about who can and cannot be classified as an employee, and most positions on a film crew are considered to be employees. Consult your attorney or accountant. 5000-5800 Production Expenses--These sections detail the camera, sound, lighting and grip equipment, the facilities and the services required to shoot the documentary. In a few cases, equipment is being purchased because it is less expensive than renting. At the end of the production, such assets should then be resold. The quantity for these purchases is listed as "0.5" to indicate that the items will be resold for half the purchase price, and thuss the ultimate cost to the production is half the purchase price. "Production Film & Lab" covers videotape stock and would include film stock and processing, although none is budgeted in this sample. Take special note of line 5830, "Crew Meals." Production work is hard and nothing tells a crew that you respect their work and talent more than providing proper meals. I once line-produced a low-budget feature where we decided to serve hot breakfast in addition to lunch, and the crew arrived early every day just to have breakfast. Sometimes a little money goes a long way. 6000 Travel Expenses--Travel expenses add up quickly and are scrutinized by funders. Try to keep travel to a minimum and hire local crew whenever possible. When you must travel, research airfare and hotel rates meticulously and seek out advice from people who have shot in the location where you're planning to go. "Per diems" allow crew members to pay for their own meals and expenses. Investigate your funders' rules carefully before budgeting per diems, however, as some funders do not allow them. 7000-7700 Post-Production--As problems arise during production, someone will invariably suggest that you "just fix it in post." But that can get expensive. It might be better to think of post as the second half of a marathon. You can't afford to carry too much baggage from the first half. You're best prepared for post by doing plenty of research before you even pick up a camera. Call your editor, online facility, colorist and sound designer. Talk to them about the intricacies of the camera that you'll be using, frame rate, time code, sync and delivery requirements. Discuss every detail that could get complicated later. These conversations will help you budget your post workflow, and may also lead to suggestions that will save you time and money during production. Note that the cost of some elements of the post process depend in part on how much money you have. For example, should you spend 24 hours or 30 hours doing color correction? It depends on how slowly you would like to go but also on what you can afford. 8000 Insurance--Film production is like war. Cars and property get damaged. People get hurt. You need insurance. There are a number of different kinds of coverage for film productions and the best way to assess your needs is to talk to several brokers who specialize in the entertainment industry. Note that some coverage, like workers' compensation, is required by law. 9000 Office & Administrative Costs--Most of these items are self-explanatory. Note that in order to rent a production office you may be required to provide an insurance certificate. 9100-9200 Promotion, Publicity, Website--The line items shown in the sample budget could certainly be increased, but keep in mind that some funders, especially broadcasters, won't allow these items as part of the production budget. 9300 Professional Services--Talk with your attorney ahead of time to estimate the cost of legal expenses. Unexpected legal services add up quickly. 10000-10200 Other Required Items--Professional publicity and production stills are critical to securing placement in press and film festival catalogs. Closed-captioning is required by a number of broadcasters. Contingency--This is a buffer, typically between five and ten percent of the total budget. Production is unpredictable, and contingency prepares you for the unexpected. This is a commonly accepted line item, but as always, you should check your funder's guidelines. Some do not allow for a contingency line in the budget. In these cases, you may have to adjust certain line items in the budget to help prepare for the unexpected. Fiscal Sponsor Fee--If your project is fiscally sponsored by a nonprofit organization (allowing you to receive grants, donations and funding from organizations or individuals that give monies only to a nonprofit), you probably have to pay an administrative fee to that organization. In the case of the sample budget, that fee is five percent. Not quite. It's time to think about the big picture again. You've budgeted your film the way you'd like to shoot it, but can you raise the full amount that you've budgeted from at much money from foundations or from a television network? You may want create a short budget for the funds that you expect to raise. Suppose you feel you can only raise $250,000. What compromises can you make to reduce the budget to an appropriate level but still maintain the project's initial vision? What kinds of deals can you get? Can you shoot for fewer days? Use a smaller crew? Eliminate travel? Shorten the edit period? Use different equipment? As you can see, there is more research to be done and there are more careful judgment calls to be made. And those are the real essentials of good budgeting. This article is based on a workshop that was originally presented at Doculink meetings in Los Angeles, San Francisco and New York in the Spring of 2005. A budget is not something to be written and left in a file cabinet. It is a living document, and if you keep careful track of your expenses and compare them to your budget periodically, you'll have a powerful tool for managing your production. For example, suppose you're early in the edit process and your editor asks whether the production can afford to keep the assistant editor on for two additional weeks. You have money in the bank today. But if you spend it now, you worry that you will not be able to cover costs later. How do you make a good decision? The answer is to look at your cost report. A cost report shows where you are in comparison to your budget at a given time, and is usually created on a periodic basis. The faster you're spending money, the more often you should create cost reports. And many funders will require cost reports at certain intervals. By examining the report, you'll quickly be able to see if you're under budget in some areas and can allocate extra money to keep the assistant editor on, or if you're over budget in most areas and simply can't afford the additional expense. A short excerpt from a cost report is shown here. In the left section you see the project budget. The center section shows "actual costs" that have already occurred. The right section shows "committed costs" (purchase orders, etc.) and the "estimate to complete" for each line item. This "estimate to complete" column is the most subjective and perhaps the most important. It is where a producer must decide how much more money to spend in a given area. By making good decisions, you can keep the overall project from going over budget. For example, in the excerpt shown here, the camera department is running over budget by $530. This cannot be avoided, so the producer has reduced the amount that will be spent in the sound department by $580 to compensate. The two variances balance each other out and the project remains on budget. Without a cost report, the producer wouldn't have known that the camera department was over budget. And without creating cost reports frequently enough, there wouldn't have been time to make an adjustment in another department to balance things out. A good cost report also lets you predict future problems. For example, if early in production you see that you're spending more on tape stock than you had planned, you can predict that the amount of time and money needed to log, transcribe, digitize and edit the footage is likely to increase as well. As in the previous example, it may not be desirable to reduce the amount that's being shot, but perhaps everyone can agree to conserve money in another area to keep the project on budget. A cost report that shows where you stand in comparison to your budget at a given time. Ledger pages that list your expenses by category for a given time period. Receipts that prove that each expense actually occurred. The sample budget, available here in both PDF and Excel form, has been updated to reflect the latest HD cameras and tapeless workflows. The article itself, however, has not yet been revised, and refers to an older version of the template. There may thus be some inconsistencies between the two, and we hope to update the article soon. That said, the article is still very useful and accurate as a guide to the sample budget and to the budgeting process. Here's a template you can use to customize and create your own budget. Robert Bahar serves on IDA's Board of Directors. He is director and co-founder of DocuLink (www.doculink.org), a grassroots organization fordocumentary filmmakers, and he works as a producer and line producer of documentaries. He can be reached at rbahar10@yahoo.com.